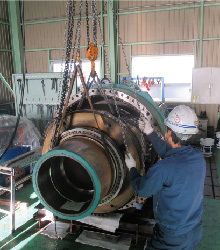 Large parts exchange／repair | Work | EOS Engineering & Service Co., Ltd. 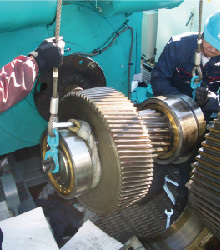 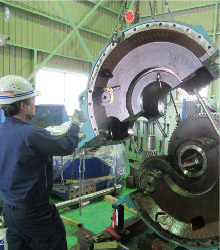 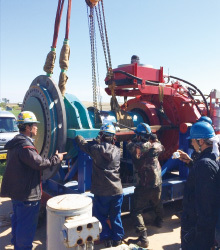 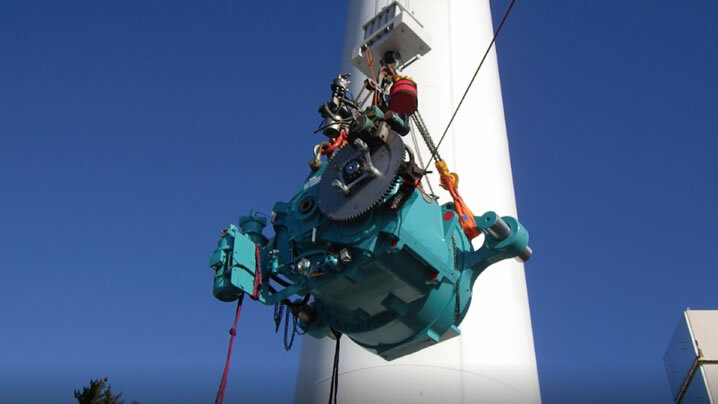 In order to shorten downtime of the system, reduce the cost of construction, and improve feasibility in existing power plants, we can carry out a storage program of refurbished large parts (gearbox, generation device, main bearing, main shaft, blade and etc.) 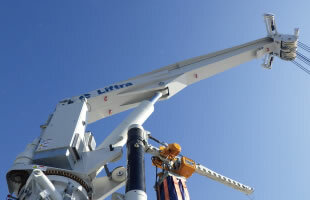 and replacement by onboard crane (LIFTRA) without large crane. 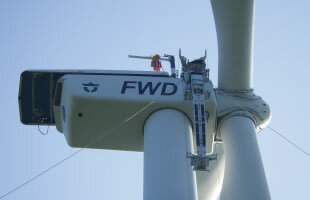 It is possible to be weld repair frame crack, tower crack and etc. 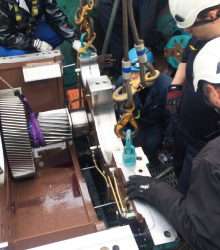 MHI1000A etc. 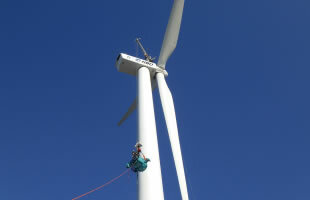 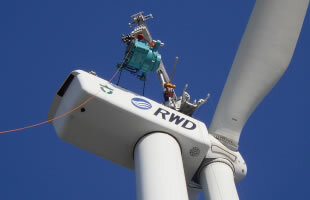 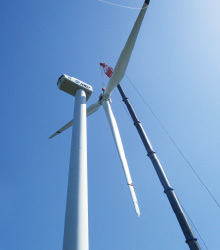 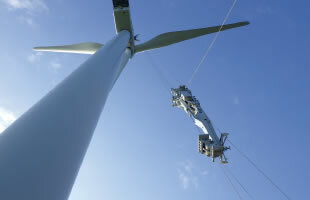 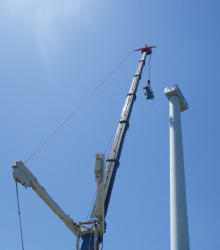 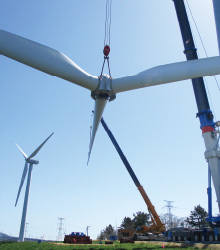 It is necessary for other wind turbine to design the mounting base.